Update March 5, 2013: Disney has announced that there will be a sequel film to “Oz: The Great and Powerful”. Auditions and Casting Calls will be posted on this site as they become available. Casting has been completed on this project. Casting on the upcoming fantasy feature film “Oz: The Great and Powerful,” is shaping up nicely, as James Franco has of course signed on to play Oz, the witches cast are Rachel Weisz as Evanorah (Wicked Witch of the East), Mila Kunis as Theadora (Wicked Witch of the West), and Michelle Williams as Glinda (Good Witch of the North). 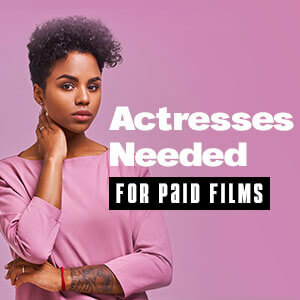 Auditions for the film’s co-stars and supporting players continues in Los Angeles, and casting for additional speaking roles, extras, photo doubles, and stand-ins for the film’s main stars has begun in Detroit and Pontiac, Michigan. Director Sam Raimi has worked with James Franco in the past, directing him in “Spider-Man”, “Spider-Man 2,” and “Spider-Man 3.” Mitchell Kapner wrote the initial script for “Oz: The Great and Powerful,” however Raimi brought in playwright-screenwriter David Lindsay-Abbaire to “touch up” up script. “Oz: The Great and Powerful” is a prequel to the 1939 film “The Wizard of Oz,” and is based on material from author L. Frank Baum’s 13 novels that he wrote about the places and people of the Land of Oz. Joe Roth, Palak Patel, and Josh Donen are producing the film. Principal photography on “Oz: The Great and Powerful” is set to begin July 25, 2011 in Pontiac, Michigan and continue through December 14, 2011. There will be studio sound stage filming also taking place in Los Angeles. The release date for “Oz The Great and Powerful” is scheduled for March 8, 2013. Minors and foreign talent must be legally eligible to work in the state of Michigan and in the United States. • Males, 18 yrs and older. Caucasian, must be between 5’9″ and 5’11” tall. NOTE: Please put Caucasian Male 5’9″ to 5’11” in the subject line of your email. • Males and Females. 18 yrs and older, 6’8″ to 7′ tall. • Males and Females. 18 yrs and older, 4’10” or shorter. • Males and Females. Asian, 18 yrs and older. These are fully paid roles. Make sure to put the specific type you are submitting for in the SUBJECT LINE of your email. Include all contact information and your location. Please do not submit now unless you fall in to one of the categories above. Many more roles will be available and posted soon. There is also an open casting call scheduled for general background extras, stand-ins, and photo doubles for the film’s stars. This casting call is for talent 18 years of age and older who are located in the Detroit and Pontiac, Michigan areas. People of any ethnicity or disability are welcome to attend this open casting call. Information on how to submit for under 18 roles will be available here soon. Please bring 2 forms of photo ID, a recent color snapshot, and all contact information. In 1900, L. Frank Baum published the book “The Wonderful Wizard of Oz,” which enjoyed incredible critical acclaim and financial revenue. Baum wisely wrote thirteen more novels based on the places and people of the Land of Oz. The film “Oz: The Great and Powerful” is based on various aspects of these novels, and is a prequel to “The Wizard of Oz” told from the wizard’s point of view when he first enters the Land of Oz, 50 years before Dorothy and Toto. The Wizard (James Franco) is a young womanizing con artist using elaborate magic tricks, gimmicks, and props to make himself seem “great and powerful.” While working for a traveling circus, he is forced to flee in a hot-air balloon. One day his balloon gets caught in a tornado and accidentally sails into the Land of Oz. His real name is “Oscar Zoroaster Phadrig Isaac Norman Henkel Emmannuel Ambroise Diggs,” but since his initials spell PINHEAD, he shortens his name to just the first two letters of his initials – Oz. And on the side of his balloon were those letters OZ. He finds himself worshiped as a great sorcerer and Supreme Ruler of the kingdom, and does his best to sustain the myth. That is until he becomes caught up in civil war of a royal family of three young women who become the infamous witches Evanorah (Rachel Weisz) – the Wicked Witch of the East, Theadora (Mila Kunis) – the Wicked Witch of the West, and Glinda (Michelle Williams) – the Good Witch of the North. Theodora starts out as a good witch, alongside her beautiful sister Glinda, but after her sexual advances are jilted by Franco’s salesman, she’s convinced by Evanora to switch sides and help her older sister rule Oz.